This project took place for the 2017-2018 year at Seattle Pacific University. 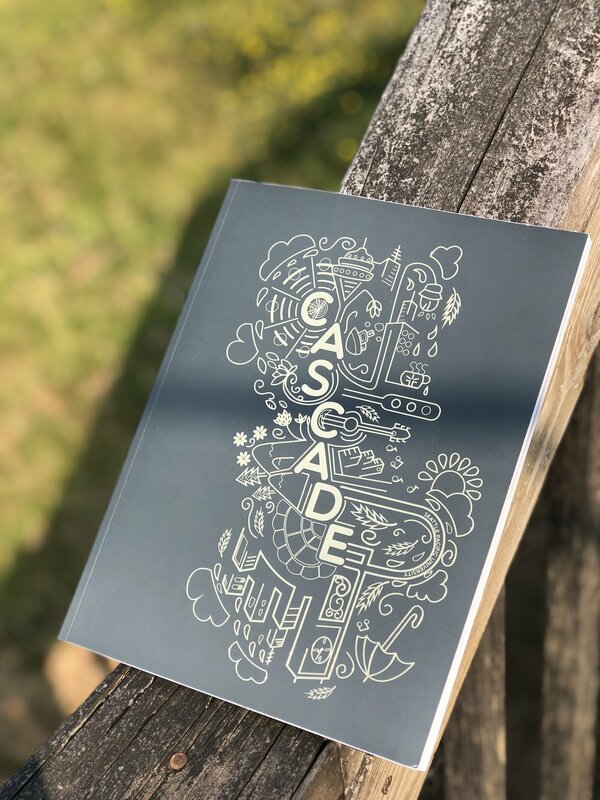 Me & my co-designer created the brand guidelines & visual designs for the Cascade yearbook. I hand sketched the cover & then my co-designer digitized my illustrations. We wanted the cover to reflect the culture of Seattle Pacific & the city it resides in. We incorporated my illustrations for the cover throughout the book for inclusiveness.